ENCINITAS — Co-founders of The Encinitas Mile race Daniel Seidel and Mark Sarno are looking to join in the movement of bringing back the mile. As North County runners, they appreciated the fact that there have been so few opportunities to run in a competitive mile-long race. On March 16, that will all change. The two runners are hosting the inaugural race, which they hope becomes an annual event. 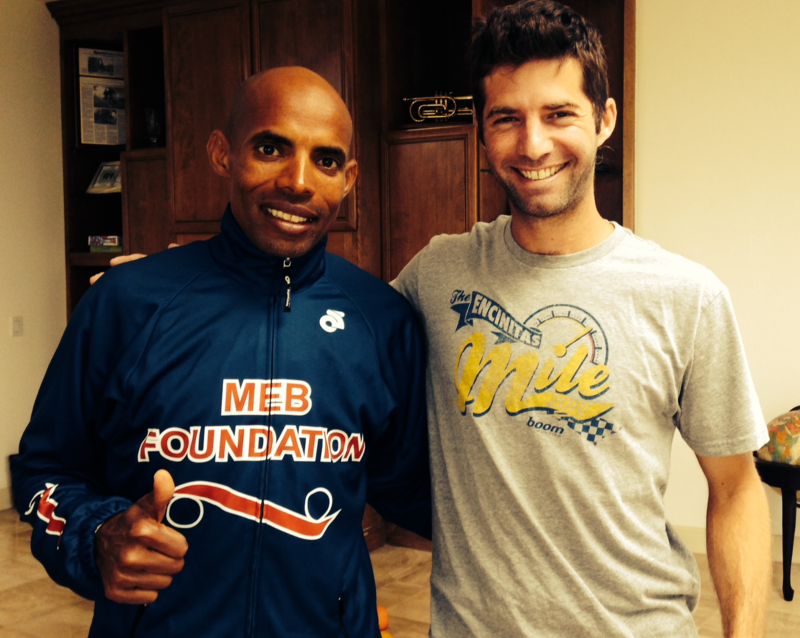 That movement, Bring Back the Mile project, is seeking to have the mile race distance brought back to the forefront. The 1500 meter or 1600 meter races don’t necessarily hold the same lore as when American runner Roger Bannister broke the sub-four minute mile barrier in 1954. The mile race is something that really captured the imaginations of a society certainly, Sarno explained. While part of their intent is to re-introduce the mile, Sarno added that it’s also a community event meant to inspire health and well-being. At 3 minutes and 47 seconds, Steve Scott held the U.S. Men’s mile record from 1981 to 2007. He knows what running the mile is really like. As head coach of Cal State San Marcos’ track and field team, Scott will be on hand during the race in a guest role. He said the appeal of running the mile is not only that it’s a good distance that people can compare their times to with each other, but that the mile is a meeting ground for someone that has a lot of speed and a lot of strength. Though Scott may participate in the event, he has no urge to attempt to retake the record anymore. The racecourse begins at the corner of F Street and Vulcan Avenue. Runners will head south for a half-mile before turning around at Santa Fe Drive and heading back. “Our course is very fast,” said Seidel. The USATF-certified course is such that it will also allow people to watch the race unfold from start to finish. The organizers are anticipating about 500 runners so far and registration will remain open until the day of the event. Cash prizes are being rewarded to the elite men’s and women’s race placers, with portions of the race proceeds going to support the MEB Foundation and Coastal German Shepherd Rescue of San Diego. The current world record holder for the men’s mile is Morocco’s Hicham El Guerrouig with a time of 3 minutes and 43 seconds. Russia’s Svetlana Materkov holds the women’s mile record with a time of 4 minutes and 12 seconds. Seidel said he didn’t think they’d see any sub-four minute mile runners this time around, but he added that some of the runners participating could do the mile in less than four minutes and 20 seconds. What about a mile under the current record time? “I think that as we’ve learned throughout history, that setting up a barrier and saying, ‘Oh, we’ll never see someone break that barrier’ is unrealistic,” Scott said. “I think that barriers are meant to be broken, and who would’ve thought years ago…they were looking at a four minute mile. Now we’re looking at a 3:43 — maybe someone going under 3:40. “We’re definitely getting to the upper limits, but I think that’s mankind. Each generation keeps getting stronger and fitter,” he said. When: March 16, 8 a.m. to 9:45 a.m.